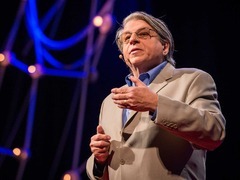 Benjamin Barber: Why mayors should rule the world In this bold talk, Benjamin Barber suggests that we should transition away from nation states towards a system of cities, where mayors rule. Why? Because, he argues, mayors are pragmatic problem solvers who are deeply involved in the issues of the cities they serve. They are “homies,” that is, people who grew up in the city. They get things done: they are responsible for fixing potholes and educating children. In contrast, Barber notes, presidents rule abstractly and distantly, governing imagined nation states from above. Barber argues that cities are hotspots of potential for solving the challenges that face us. Most of the issues are concentrated in cities, and these governing bodies are best equipped to collaborate and address them together. Where nation states clash, cities mesh. “Mayors have the political position to change people’s lives,” said Rio de Janeiro mayor Eduardo Paes as he opened his inspiring talk from TED2012. He shared four commandments of running cities, which in part contributed to Rio’s successful bid for the 2016 Olympics. His accomplishments, which ranged from public health programs to improving the city’s transit system, illustrate a mayor’s unique ability to bring about change in a city. Cities hold the solution to climate change, said Jaime Lerner, former mayor of Curitiba in the Brazilian state of Paraná. Standing on stage at TED2007, Lerner shared how he revolutionized the city’s urban transit system by “metronizing” the bus through a combination of efforts targeting mobility and sustainability. He launched the Bus Rapid Transit system in Curitiba in 1974; now, the system is implemented in 84 cities globally. Don’t miss his catchy song at the end of his talk espousing the possibility of sustainability. A small art project in Tirana, Albania seeded a renewed sense of citizenship for the city’s residents. As he shared at TEDxThessaloniki in 2012, former mayor Edi Rama took office in 2000 with a minuscule municipal budget; he nonetheless revitalized the town by adding splashes of color onto the city walls. Freshly painted façades had an incredible effect: crime dropped, the streets became safer. Citizens even started paying their taxes. This low-cost urban beautification process gave residents a sense of ownership over their city and put them back at the center of their own urban story. How do you communicate with local officials? Write a letter, advised San Carlos, California mayor Omar Ahmad at TED2010. He found that letters presented the best opportunity for honest communication with his constituents. His experience translated into a formula for effectively communicating with politicians. In this inspiring talk at TEDxSacramento City2.0, West Sacramento mayor Christopher Cabaldon called for a fundamental redesign of urban democracy. Rather than adapting a slow, plodding federal model of governance, cities should create a system designed for action. The 7-time-relected-mayor proposed a digital democracy, where citizens can engage with the civic issues they care about in a medium that works for them. This system might even allow us to cross municipal borders and collectively engage in the global governance of cities. Motorcycle engineer and mayor Dale Williams radically reshaped the education and employment sectors of Otorohanga, a small city in northern New Zealand. Speaking at TEDxAuckland in 2013, he shared how he turned a paradoxical crisis of unemployment and low labor availability into an opportunity for the city’s young people. He designed a school-to-work program that helped support graduates in finding and keeping a local job or internship. The program has twice the retention rate as the national average, and has grown into a model copied internationally. Just as Benjamin Barber suggested, Williams illustrates how mayors are uniquely positioned to innovate solutions to local and global problems. Note: This talk originally ran on September 20, 2013. It was updated on December 6th to include Enrique Penalosa’s talk. Bold and pragmatic…I like the idea. Reblogged this on Aware & Fair. As a resident living in Toronto (Ford Nation) these talks are all very relevant and important. Hope our civic leaders, including the Mayor, watch these. Reblogged this on IS+CRU's Drabbles.